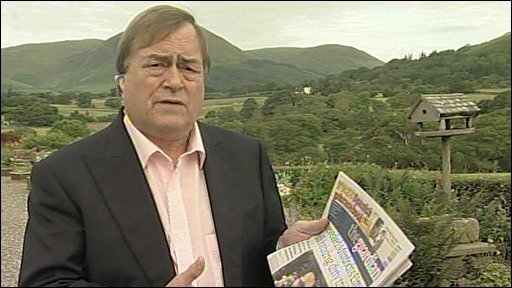 John Prescott: "These allegations are really serious"
Former deputy PM John Prescott is calling for inquiries to be reopened into allegations of widespread mobile phone hacking by the News of the World. The Guardian alleges reporters paid private investigators to hack into 2,000 to 3,000 phones, including his and those of other public figures. Details of the operation emerged in a court case but were suppressed by the police and the High Court, it claims. A Home Office minister is to answer questions about the allegations later. The Guardian alleges News Group Newspapers, owner of the News of the World, paid £1m in out-of-court settlements in three cases after the paper's journalists were accused of involvement in phone hacking earlier this decade. Business Secretary Lord Mandelson has called on Andy Coulson, who was editor of the News of the World during the period the allegations cover, to give a "full and open explanation" of his role in the affair. 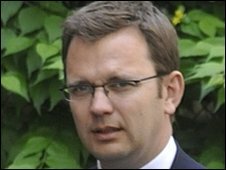 Mr Coulson, who is now working as director of communications for the Conservative Party, resigned from the paper in 2007 after its royal editor was jailed for hacking into the voicemail messages of royal staff. At the time, Mr Coulson denied any knowledge of a wider hacking operation. Tory leader David Cameron insisted Mr Coulson's job was safe, but stressed it was "wrong for newspapers to breach people's privacy with no justification". The Guardian claims the Professional Footballers' Association's head, Gordon Taylor, had his phone hacked into by News of the World-paid investigators and received £700,000 in damages and court costs last year, but on condition that details of the case were not made public. He sued on the basis that News Group must have known about the phone hacking. The paper alleges Mr Prescott and "two or three thousand" other public figures were targeted, including London Mayor Boris Johnson and former Culture Secretary Tessa Jowell, but evidence about the bugging operation was suppressed by the police and the High Court. A spokesman for News Group's parent company, News International, said: "This particular case means nothing to anyone here, and I've talked to all the people who would be involved." Mr Prescott told the BBC the allegations "raised many many questions". He said: "First of all, those of us that had our phones tapped and the police were aware of it - why were we not told? Why were they [the News of the World] not prosecuted? "Why was a separate deal done in the court and then put away, and not made available to us? To the legal authorities [I would ask] why did you do this? It is now clear that phone hacking at the News of the World was much more widespread than previously thought; that it targeted senior ministers not just celebrities and that, if the Guardian is correct, at least one of the paper's executives knew about it. This is leading to calls - not just from Labour politicians - for Andy Coulson to answer questions about what he knew and to questions about whether he should be at David Cameron's side. That is why I am sure that David Cameron is anything but "relaxed", as was claimed last night. Coulson has already broken rule one for any spin doctor - "Never become the story". He's good enough at his job to know that this story will soon become one about David Cameron's judgement. He said News Group newspaper executives had convinced MPs on the House of Commons culture committee that the case of the News of the World's royal editor Clive Goodman was a "one-off" example of a "rogue" reporter. "That was clearly untrue if these allegations are to be believed," Mr Prescott said. He said the committee and the Press Complaints Commission, which both investigated the Goodman case and found no evidence of a wider hacking operation, should reopen their inquiries. The culture committee is due to discuss the new allegations when it meets on Thursday. Its chairman, Conservative MP John Whittingdale, said: "I have to say I'm extremely surprised if it is the case that a payment of a million pounds has been made by News International to people who allegedly have had their phones intercepted by an investigator. "We were given an absolute assurance when we carried out an inquiry that only one journalist on News of the World had any knowledge of interceptions - Clive Goodman." Writing in his blog, Mr Prescott also questioned the role of Mr Coulson. "This really does call Cameron's judgement into question in hiring Coulson," wrote Mr Prescott. "The question Cameron must answer is: 'Do you back him or sack him?'." Mr Cameron issued a statement to say it was "wrong" for newspapers to breach privacy without justification. He said: "That is why Andy Coulson resigned as editor of the News of the World two-and-a-half years ago. "Of course I knew about that resignation before offering him the job. But I believe in giving people a second chance. "As director of communications for the Conservatives he does an excellent job in a proper, upright way at all times." Mr Coulson said on Thursday: "This story relates to an alleged payment made after I left the News of the World two-and-a-half-years ago. I have no knowledge whatsoever of any settlement with Gordon Taylor." During the prosecution of Goodman and private investigator Glenn Mulcaire - also jailed in January 2007 - the court heard how they had hacked into the phones of celebrities, including supermodel Elle Macpherson, publicist Max Clifford and Mr Taylor.